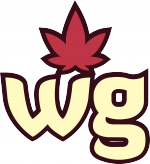 Weed Girls is a community for cannabis lovers–a place to experience the sensual side of marijuana. Our models are part of a community that’s more relevant every day: sexually liberated women. Free of judgement and preconceptions, we’ve created a space where our models are free to express their sexuality while enjoying a fat joint. Cannabis society is made up mostly of men. Thanks to our Weed Girls, we give voice to the feminine side of marijuana use. Female cannabis users are becoming more and more common all the time. Discover and get to know our newest models. Each girl has something new and fresh to bring to our community. All you have to do is click to start enjoying our exclusive content. Enjoy our favorite topics about cannabis: interesting articles regarding the sweet seed, exclusive interviews with national and international artists, also funny, strange & odd news, and so much more. Men or women? Who has greater tolerance to marijuana? Bring the Weed Girls experience home! Shop our official and exclusive merchandise and turn your visual encounter into a tangible one.